We call this “Nature”, and it is the reason that people can drink at a social or religious event and one of them end up on the floor every time. It’s the reason 4 people can go to yeshiva and have a few drinks, while one of them continues to need a drink regularly for years to come. Then there is “Nurture”. Here we refer to the regular application of a particular behavior such that a person learns to do something over time, either at home or in society. Drinking is a perfect example. If a child grows up seeing their parents drink regularly or has regular access to drinking, this can breed a behavior pattern that features drinking. Combine “Nurture” with “Nature” and/or with a “void” or mental health issue, like anxiety and depression, and now you have the recipe for full-blown, out of control addiction. Social drinking and religious drinking are not things that are going to go away. Nor is it something that necessarily has to go away. The issue comes down to access, education, and moderation. Young children, teens, etc. should not have regular access or exposure to alcohol. This includes access and exposure to others using alcohol in excess. There is no need for a 6-year-old to “taste” dad’s beer any more than there is for a teen to have regular unsupervised access to the liquor cabinet. Most young folks we see with addiction issues can clearly recall accessing their first drinks and getting their “Buzz” on at home, either when parents weren’t home or in the midst of a social or religious gathering. This is an area of particular challenge but can be solved with proper storage and supervision of alcohol. Lock it up! This, by the way, applies to prescription pain medications as well which many kids find right in the medicine cabinet at home or at the grandparents’ home. 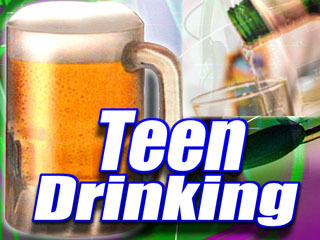 Many people are unaware of the issues and potential dangers surrounding alcohol use. They are also uneducated as to how to prevent issues and identify them when they are present. We provide regular training on these topics and families are always shocked at just how much they don’t know. Education on these topics to both parents, educators, and children alike is critical. Education equals prevention. Moderation is a key component in many things, not the least of which is Alcohol use. Sure, we drink wine at the Seder, and at a farbrengan there is alcohol, but does a kid need 4 full cups of wine instead of grape juice? And does the Smirnoff bottle need to be left on the table for the young ones to help themselves to “more than 4” (as the Rebbe required)? If alcohol use is for religious purposes, it should connect you with G-d and not remove you from your bodily functioning. If you need alcohol socially more than just for taste, then chances are you need to look at that. For this reason, even in the event there is alcohol, and it is “justified,” we as adults, need to be the moderators both internally and externally. A community that wants to address issues of alcohol use must come together and create and follow a set of uniform, predetermined plans and guidelines that address Access, Education, and Moderation. Such a plan should include the input of professionals as well as rabbis so as to incorporate and protect religious values. If we can accomplish this, we are on the right track. Mendi Baron, LCSW – CEO of Ignite Teen Treatment Centers, is a passionate advocate for teens and young adults in the fields of mental health and addiction. Baron creates programs to bring a unique approach to the treatment of adolescents and young adults who are struggling with a variety of emotional and behavioral disorders and substance abuse issues. Clinically trained, Baron earned a BA with honors in psychology and social work at the University of Maryland and an MSW at the University of Maryland School of Social Work. His extensive experience as a therapist includes individual and group counseling for children, adolescents, and families in various settings. Gaining insight and experience, he has worked at several treatment centers including the Chesapeake Center for Youth Development, the Carroll County Youth Services Bureau, Chabad Crisis Centers, and the Center for Discovery and Adolescent Change. Before launching Ignite Teen Treatment, Mendi conceived and built, from the ground up, multiple successful, high end adolescent residential and outpatient programs in Los Angeles. Mendi has appeared on the Dr. Phil show, is regularly featured in mental health and addiction publications, and speaks around the country in person and on Tv/Radio on these topics. With his newest ventures, Mendi instills a rare blend of energy, creativity, and experience to the treatment of teens, young adults, and their families struggling with addiction and mental health issues. The son of a Rabbi, eldest of 11 children, is a part-time rock musician, boxer, cantor, and father of three. If you or anyone needs help, call Ignite Teen Treatment Centers at 866.604.7273 or go to the website: https://igniteteentreatment.com.